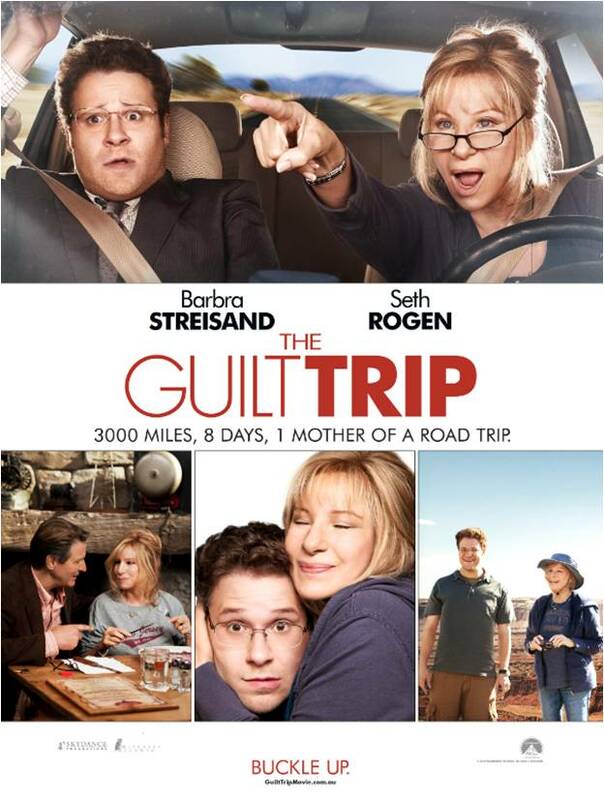 The Guilt Trip follows Andy Brewster (Seth Rogen) who, in a moment of weakness, invites his overbearing mother (Barbara Streisand) on a cross country business road trip of a lifetime. Over a hilarious eight days and 3,000 miles, they ultimately learn they might have more in common than they ever thought. The crazier it is, the closer they get. To celebrate the release of The Guilt Trip, we are giving you the chance to win an awesome road-trip themed prize pack containing a Car Travel Charger, an Air Freshener, a Snack Box and a Double pass to see to the film! DUE DATE with Robert Downey Jr – hilarious! This entry was posted in Featured and tagged barbara streisand, comedy, film, giveaway, guilt trip, road trip, seth rogan. Bookmark the permalink.